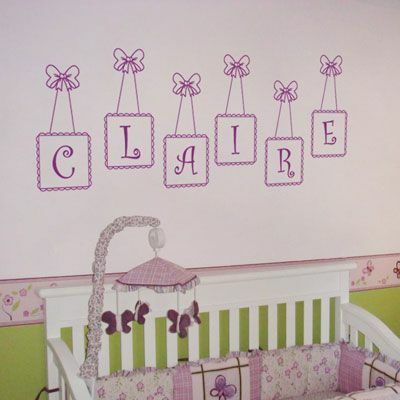 This beautiful, bowtie-framed monogram wall decal is a perfect way to display your child's first name! This monogram will measure a maximum of 50 inches wide by a maximum of 22 inches high when staggered as shown in the image. Measures 50 inches wide by 19 inches high as shown. Available in any one color and one name of your choice! This bowtie monogram will need to be cut apart so that you can arrange the letters however you choose during installation. Practice decals are included with every order. We absolutely LOVE our Tree with Swirling and Spiraling Branches! It has really made our nursery so special. Everyone got to see it at my shower and adored it completely. Thanks so much!! Thank you for an amazing product; I could not be happier with my decal. Application instructional video was very helpful and made application a breeze. You have got yourself a repeat customer for sure!! Great product, and easy to install! We purchased two trees, and they look great! Thank you! It's not likely that you will regret your purchase from this company. 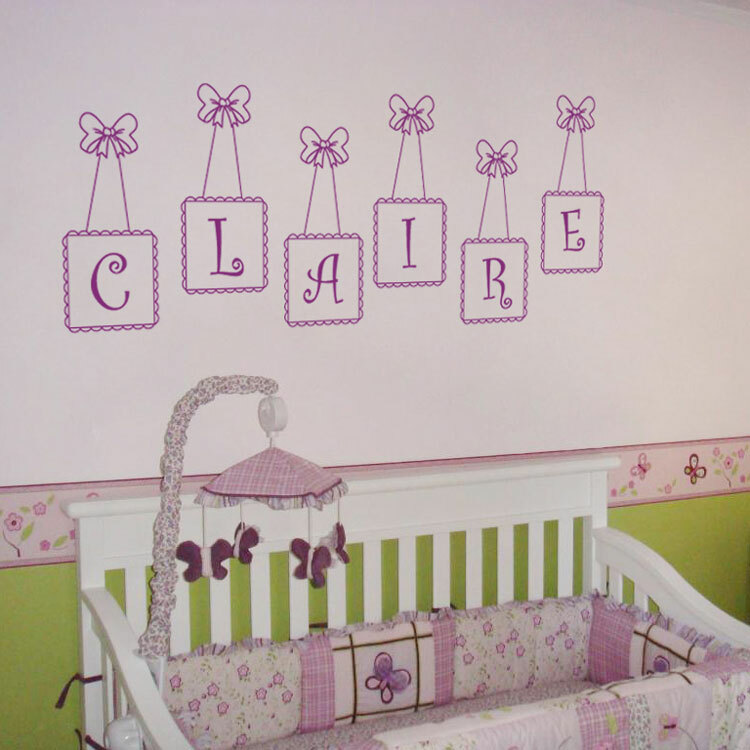 The decal added so much elegance to my room and I was going for a custom decal so I exchanged several emails with company and they was so helpful, even sending two different sizes of decal since I was not totally sure on the size. I will be referring them to everyone I know. Looking to add another decal now as well. Extremely happy.